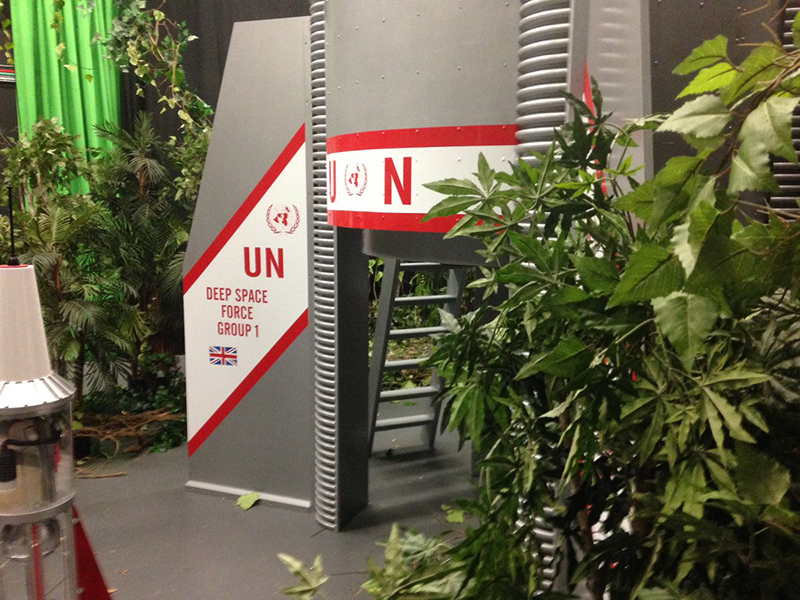 UCLan Students Authentically Remake Lost Doctor Who Story, Mission To The Unknown! Missing 1965 episode ‘Mission to the Unknown’ is authentically brought to life in unique project, authentically recreated by students, graduates and staff from the University of Central Lancashire (UCLan). 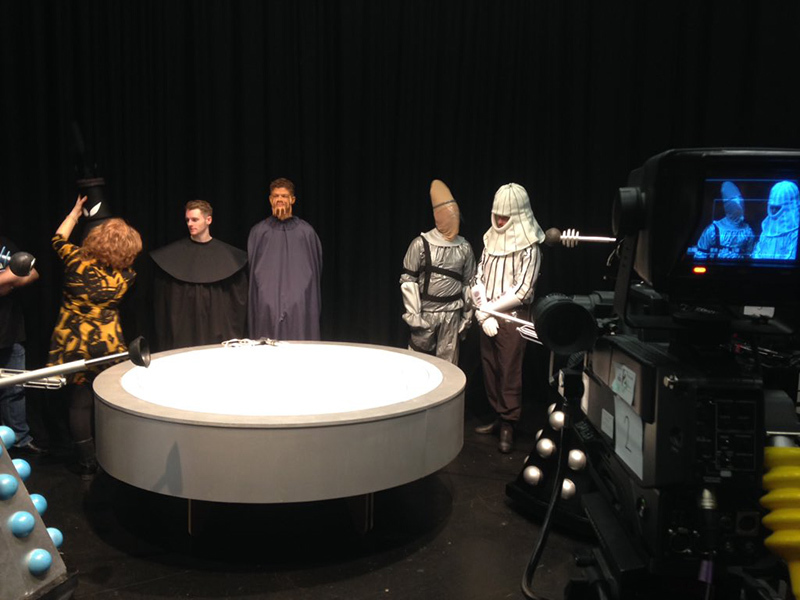 The project, known as Sci-fi in a Week, saw a large university cross-disciplinary team remake the lost episode in just five days of rehearsals and filming. This episode is unusual in that it was the only single episode story in the entire 26-year original series run, and also because it is the only story not to feature the regular cast including the Doctor himself who was played at the time by William Hartnell. ‘Mission to the Unknown’ is one of a large number of missing Doctor Who episodes. Unlike some that have been returned to the BBC, this one is likely to stay lost forever as it was never sold or distributed overseas. But, thanks to UCLan’s efforts, it has now been brought to life again in full 1960s glory. The 25-minute episode, which was originally written as an introduction to the 12-part story ‘The Daleks' Master Plan’, featured Edward de Souza as Space Security Agent Marc Cory and his efforts to warn Earth of the Dalek’s latest plot. Audio recordings from the episode exist and have informed the development of the UCLan version but no original footage is known to have survived. 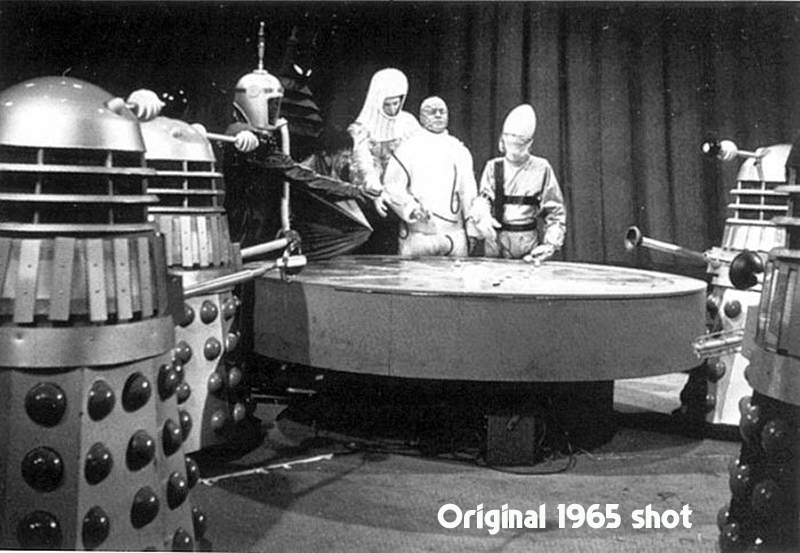 UCLan Pro Vice-Chancellor (Digital and Creative Industries) Dr Andrew Ireland directed and produced the episode after being given special permission from the BBC and the Terry Nation Estate, which holds the rights to the Daleks. Nicholas Briggs, who has been the voice of the Daleks on Doctor Who since the series returned in 2005, lent his support to the project by voicing the Daleks for the special UCLan episode. The whole show has been created by UCLan students, graduates and staff, with help from Accrington and Rossendale College pupils who were in charge of make-up and prosthetics. It means that students on courses including acting, fashion and TV and media production gain hands-on experience of creating a drama from scratch and are able to compare techniques from more than 50 years ago with modern day drama production. 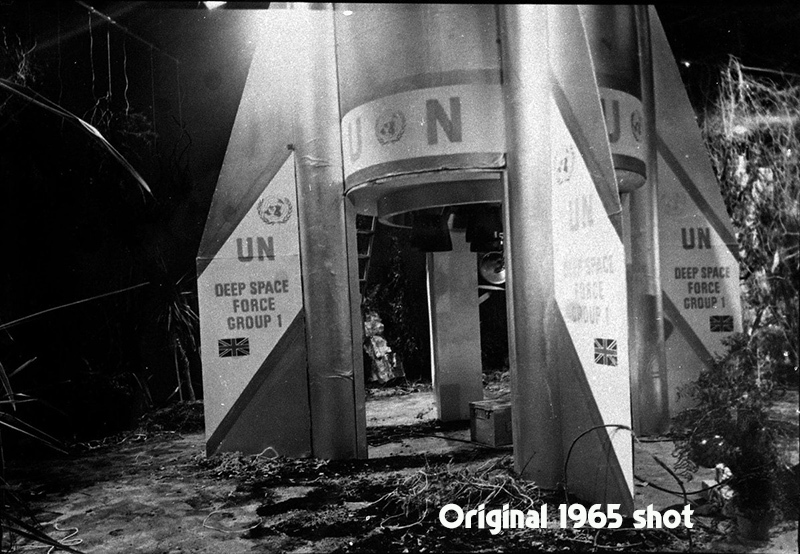 To make the programme, the UCLan team had to make four sets; a futuristic conference room, a jungle, a rocket ship, and the Dalek Control Room, which was filmed as a miniature set, as well as creating all the props and costumes. It involved four speaking parts plus three Daleks with seven other actors playing aliens. The cast and crew were given a treat mid-week when Peter Purves, who played the Doctor’s companion in 1965, and original cast-member Edward de Souza visited the set to see how things were progressing and take part in a special question and answer panel. “This is an absolutely wonderful project, even more so as this episode was a one-off introduction to the massive 12 part ‘Dalek Master Plan’. I can remember at the time that we (That is me and Bill Hartnell) were a bit miffed not to be included in any way at all, but actually it was a nice week off in the end. I am intrigued to see what has been done and hope it could be a precursor to more reconstructions in the future." UCLan already has strong links with Doctor Who through acting graduate Mandip Gill who currently plays the Doctor’s companion in the series alongside Jodie Whittaker as the first ever female Doctor. The UCLan team treated the BBC as the client for the project and that set a high professional bar for the cast and crew to aspire to. Peter Purves has shared some images [pictured in the right-hand column] from the production on his Twitter account, and, as you can see from our comparison, the attention to detail is incredible! Doctor Who Returns To Twitch For 2019! Doctor Who is returning to popular streaming platform Twitch, starting from 5th January 2019, the BBC has confirmed! 2018 saw a hugely positive reaction from fans - old and new - who tuned in to watch episodes from the Classic Series, which were streamed on Twitch. Meme's such as Ian and Barbara returning to "London 1965" catapulted the service to reach even more fans, and talented personalities such as Pip Madeley (@pipmadeley) emerged. Madeley (previously of the Planet Skaro site) produced trailers for the stream as well as some hilarious observations. For a full list of streams, episodes and times, check out the doctorwho.tv website. It is with deepest regret that DWO announces the passing of Classic Series Doctor Who Script Editor & Producer, Derrick Sherwin. Derrick began his work on Doctor Who as Script Editor for the following stories: The Web Of Fear, Fury From The Deep, The Wheel In Space, The Dominators & The Mind Robber. He then took on the role of Producer for The War Games & Spearhead From Space. Derrick also wrote the 2nd Doctor adventure, The Invasion, which was the first story to properly introduce UNIT. It was also his idea to exile The Doctor to Earth for Jon Pertwee's early 3rd Doctor stories. Derrick's other career highlights include acting credits for; Here Lies Miss Sabry, United!, The Scales Of Justice and even an uncredited cameo appearance in Spearhead From Space as a UNIT Commissionaire. DWO would like to extend our sympathies to Derrick's family and friends. Over 500 classic episodes from the 1960s to the 1980s will air worldwide on Twitch from May 29th to July 23rd. Social video service Twitch today announced it is joining forces with BBC Studios for the first-ever digital broadcasting event of the Classic Doctor Who series. Over 500 episodes from 26 seasons dating from the show’s inception in 1963 until the 1980s will air worldwide over a seven-week period. Starting May 29th, fans can tune in each week Monday to Friday at 11 am PDT to catch episodes on Twitch.tv/TwitchPresents. Doctor Who is a British action adventure sci fi series produced by BBC Studios which follows the adventures of "The Doctor", an alien Time Lord from the planet Gallifrey who travels through time in a TARDIS, a spaceship shaped like a police telephone box. Accompanied by a number of friends, the Doctor combats a variety of foes, while working to save civilizations and help those in need. Instead of dying, the Doctor is able to "regenerate" into a new body, taking on a new personality with each regeneration. This has led to 13 different incarnations of the Doctor appearing in the series. 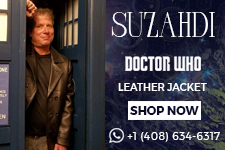 Leveraging the real-time shared viewer experience that has defined Twitch, Doctor Who is the latest entry in over a dozen TV shows that have aired on the service. To elevate the social experience in chat, viewers who Subscribe to the TwitchPresents channel will gain access to 14 exclusive emotes themed after each of the first seven doctors. For Doctor Who fans in the US, UK, and Canada, Twitch is hosting a giveaway each week of the event, including a grand prize trip to London Comic Con in Fall 2018. For details on the giveaway, visit: https://watch.twitch.tv/DoctorWhoSweepstakes. As part of the event, leading UK digital content creators The Yogscast are producing a series of shows that will introduce each Doctor. With a cast of Doctor Who screenwriters, experts, fans, and even a former companion, the Yogscast's Turps and resident Doctor Who expert and High Roller's player Matt Toffollo will be discussing why modern audiences should be watching Doctor Who. Each 20-minute episode will provide a brief summary of the stories that are about to be shown, including the actors, monsters, famous phrases or production gaffes to look out for. With first-hand knowledge from former companion Katy Manning (who played Jo Grant the Third Doctor Companion) and writers Bob Baker and Paul Cornell, the shows will give insight into the series alongside the humor and irreverence viewers expect from the Yogscast. Also joining them will be Beth Axford of The Time Ladies, Tom Spilsbury of Doctor Who Magazine and YouTuber, Bill Garratt-John. 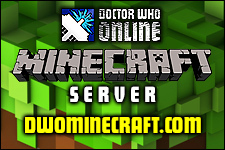 For more information on the Doctor Who episodes that will air on Twitch, visit the Twitch blog. It is with deepest regret that DWO announces the passing of Classic Series Doctor Who Actor, Peter Miles. Peter appeared in 3, classic series, Doctor Who adventures; Doctor Who And The Silurians (as Dr Charles Lawrence), Invasion Of The Dinosaurs (as Professor Whitaker), and, his most fondly remembered role in Genesis of Daleks as Davros' chief henchman, Nyder. Peter's other career highlights include roles in; Blakes 7, Bergerac, Z-Cars and Disraeli (to name just a few). Peter also appeared in a number of audio plays for Big Finish. DWO would like to extend our sympathies to Peter's family and friends. On a personal note, I (Seb), got to meet Peter on two occasions, but most memorably in 2006, where I got to have a photo with him [pictured right]. Unlike his famed character, Nyder, Peter was a gentle, kind man, who genuinely loved meeting fans of the show. He will be greatly missed. It is with deepest regret that DWO announces the passing of Classic Series Doctor Who Actress, Deborah Watling. Deborah was loved and cherished by fans for her role as the 2nd Doctor's companion, 'Victoria Waterfield', in the Classic Series of Doctor Who. Deborah's other career highlights include A Life Of Bliss, The Newcomers & Danger UXB (to name just a few). DWO would like to extend our sympathies to Deborah's family and friends, and we will remember her fondly not just for her role in the series and her personality off-screen, but for the many occasions she gave her time to Doctor Who Online. 1967 Screen-Used Original Ice Warrior Head from Doctor Who Discovered! It’s not every day you find a screen-used, Classic Doctor Who prop, let alone one that has such an iconic image as the Ice Warrior, but that's exactly what Toybox Treasures' Matthew Doe did! It was the monsters that first cemented Doctor Who’s popularity and carried it through the earth-shattering change in lead actor in 1966. Patrick Troughton’s era is renowned for its monster stories and indeed, his second year is known as ‘The Monster Season’ for good reason. 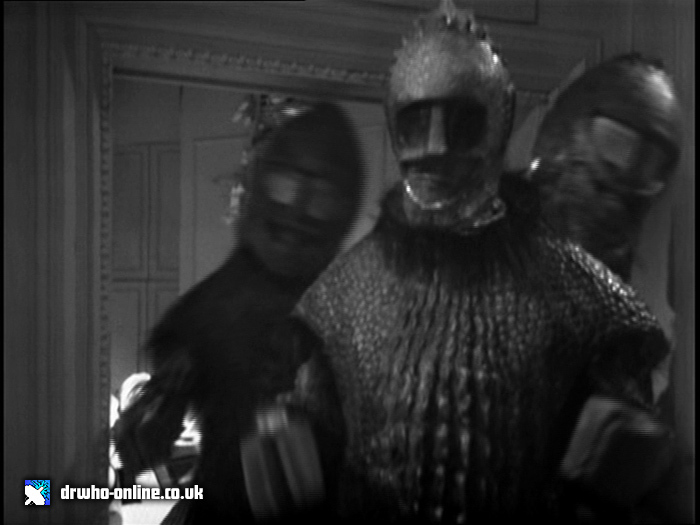 Along with the latest adventures with the Daleks and Cybermen, a parade of new aliens graced TVs everywhere – none more long lasting in impact than The Ice Warriors. They were so successful in their debut story that a return was swiftly arranged for Troughton’s last season in The Seeds of Death. The Pertwee era relied less on the past – despite three Dalek stories, the Cybermen didn’t return until the Fourth Doctor had arrived. However, the Ice Warriors did return, not once but twice in consecutive years with Curse of Peladon and Monster of Peladon in 1973 and 1974 respectively. And of course, they have returned in the modern series – facing down Matt Smith in Cold War and returning against Peter Capaldi this year. 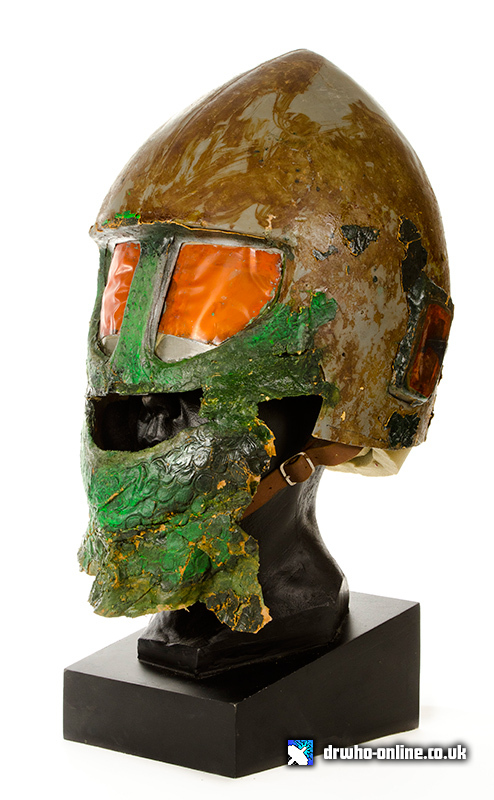 "As a prop collector and dealer, I often receive emails starting “I’ve got a screen used….” Unlike 90% of these emails, this one led to an incredible discovery – a screen-used Ice Warrior head that could be the only known surviving classic Ice Warrior head in existence. Not only that, but one of the very first made in 1967, the so-called ‘big head’ version. And it was the real deal – despite clearly suffering the ravages of time, this was one of the very earliest Ice Warrior heads, used in both Troughton’s and Pertwee’s era. This is one of those moments you dream of as both a prop collector and Who fan. I needed to know from a collector’s point of view, the best way forward for the Ice Warrior’s head. Should the head be restored or preserved? What kind of reception would it get? I am very fortunate to have a group of friends that I can call upon for advice so I contacted Mick Hall, Colin Young, Graham Flynn and John Tobin (for those who don’t know, these guys are what we call the dog’s dangles of Dr Who prop collectors – the world’s leading Doctor Who prop guys!). After a lot of discussion and thought, I decided the best way (and only way) forward was to call Mike Tucker who I am fortunate to know and proud to call a friend. Mike Tucker was really the only person for the job- a Bafta winner for his work on the series, he’s well respected within the industry having worked for BBC’s Visual Effects department and now owning The Model Unit – and he’s one of a tiny group of people to have worked on both the classic and modern series. After consulting with Mike, and taking into consideration the collectors of the Doctor Who world, I decided it had to be be preserved (every time we touched the Ice Warrior latex was falling off in our hand) and it hand to be done quick. The worst outcome for this historical item would be for it to fall to pieces and cease to exist so within days of picking it up we drove to Ealing Studios to drop this off so Mike could start work. If you haven’t had a chance to speak to Mike then do please make the effort and go to one of his public appearances/talks – I promise you will have a most enjoyable time listening to his experiences in film and TV, and both eras of the show we all love. As any prop collector will tell you, props made to last a few weeks decades ago and which were used more than once, in this case over 7 years apart, are going to suffer damage. Add in that a lot of the Ice Warrior head is latex which doesn’t like hot lights – present in the studio and later at the Blackpool Exhibition – and you’ll see the problem. The head needed a lot of work if it was to survive for future generations of fans to appreciate. But if I went down a full restoration route it would mean that the head quite frankly would no longer be 100% original; currently having the odd repair here and there; with a result of bearing no resemblance of what was screen used. And that, was out of the question. Actually doesn’t that turn props into Replicas when most of it has been replaced? At what point does it remove that original factor? Perhaps that’s an open discussion for us over on the Facebook group. A future owner can still go down a restoration route but for me, the focus was on Preservation. " 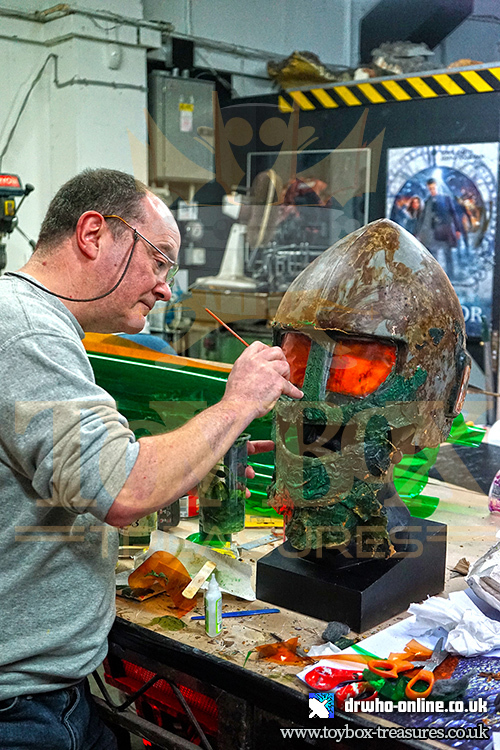 In preserving the Ice Warrior’s head, all existing pieces were used, colour matching the age and sometimes having to remove layers of paint. It’s a lot harder in some cases to do this than just fully restore a piece. Here’s a list of some what we have had done and in doing so have kept it’s original aspect. · Removed by hand the silver paint which was applied during exhibition, this covered the orange eyes in which it had from it’s time in the 1974 episode “Monster of Pela Don” with Jon Pertwee. 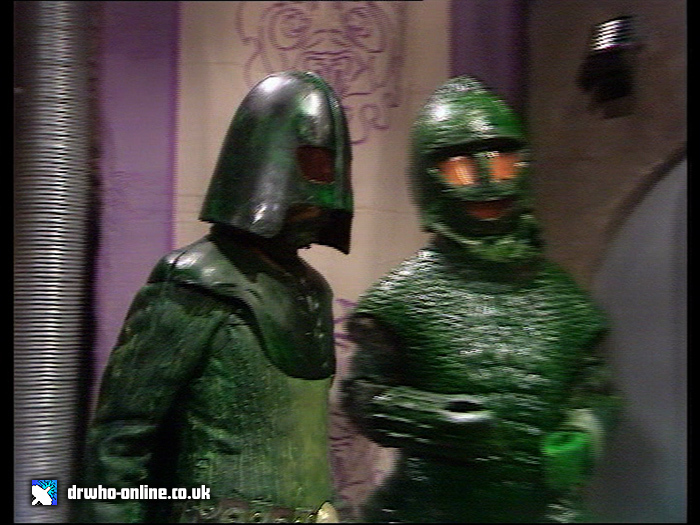 – There was actually some of the green film attached to the inside from it’s 1967 Ice Warriors Appearance. · Using existing latex pieces that had fallen off to repair the side mouth, this meant we kept everything original we used no new pieces of latex. · Repositioned mouth. Due to one piece of the cheek missing, this had unfortunately lowered the mouth, so again using original latex pieces put back into position, this made the mouth whole again. Matthew Doe spoke to Richard Moleworth of Doctor Who Magazine about the prop. Richard had gone to an in depth review of the Ice Warrior for his article in Doctor Who Magazine, and leaving no stone unturned in his research of the ice warrior. Purchase Doctor Who Magazine Issue #513 for an exclusive interview with Mike Tucker from The Model Unit. Items like this don’t turn up very often. What did you think when you firs heard about the Ice Warrior head, and how do you choose between scepticism and belief? Love at first sight? OK, no really, something that's really hard to fake in this game is age, so to start with, does it feel right, smell right, and are the materials of an age is the first thing. I think when you have got past that barrier with a prop from the 60's, you can then start looking at screen matching it, although we are talking poor quality recordings from the 1960's, so screen matching an item can be really hard unless you have access to promotional shots. Luckily with a combination of behind the scenes photos / on screen and the radio times photos, we were able to start tracing its pedigree history right from the go. It was also the first time I had the pleasure of speaking to Richard Molesworth; wow - no stone was left unturned with Richard. He was doing the interview and report for Doctor Who magazine about its history and really brought the whole Ice Warrior to life. As far as finds go, how far up there is the Ice Warrior head in your collecting history, so far? I've sourced things from a screen-used Cyberman Chest Piece to a 6" Screen Used Dalek, but this is pretty up there with the Dalek I think; it's one of the oldest pieces I have owned - I mean there isn't really that many years of Doctor Who before '67. So things are going to be limited what can be found now. Is there a dream prop / costume that you’d love to find one day (Ice Warrior head aside)? Dream prop, maybe - I think like any Doctor Who fan it would be a full sized Dalek but - I would probably go as far as something really iconic and easy to display like Bill's cane or Pat's recorder. I've had a fair share of my full size Daleks, two words "DUST TRAP" - I think we will leave that there. Be honest…have you tried it on, yet? Actually I haven't - it's so fragile, trying to undo the leather straps and put around my head, I think I would break it trying. If you could take a round trip in the TARDIS, anywhere in time and space, where would you go and why? Help with world peace and save lives? Who wouldn't, if we are talking the Doctor Who world - probably go back and stop the tapes from being wiped - Grrrrr ! As most of the people who read this, Doctor Who is a large part of most of our lives, eat & sleep it, so why not, lets rescue some tapes! It is with deepest regret that DWO announces the passing of Classic Series Doctor Who Director, Rodney Bennett. Rodney directed the 4th Doctor stories; The Ark In Space, The Sontaran Experiment & The Masque Of Mandragora. As an in-joke reference, the 4th Doctor mentions the "Bennett oscillator" in Episode One of The Ark In Space. Rodney's other career highlights include directing credits for; The Darling Buds Of May, Z Cars, Tales Of The Unexpected and Soldier Soldier (to name just a few). DWO would like to extend our sympathies to Rodney's family and friends. Comedian, Actor and Writer, Toby Hadoke has put together a more in-depth obituary on his blog. You can also watch Toby's 'In Memoriam' video for the Doctor Who personalities we lost in 2016. It is with deepest regret that DWO announces the passing of Classic Series Doctor Who Writer, Robert Banks Stewart. Robert was perhaps best known to Doctor Who fans for penning two, much-loved, 4th Doctor adventures; Terror Of The Zygons & The Seeds Of Doom. DWO would like to extend our sympathies to Robert's family and friends. + Read DWO's Interview with Robert Banks Stewart from 2013. 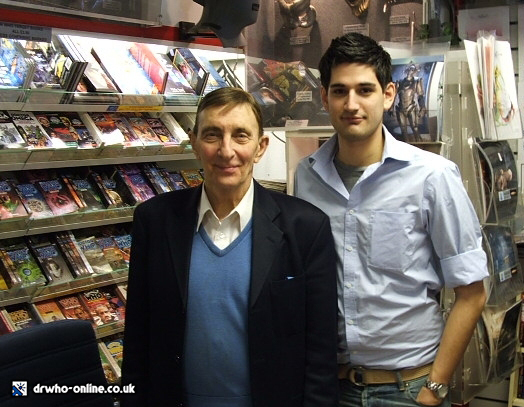 DWO interviews Ex-Doctor Who DVD Commissioning Editor, Dan Hall, regarding his time on the range, his current projects, and what the future could hold for the Classic Series range. What have been some of your fondest memories in your time working on the Doctor Who DVD range? Having the opportunity to work with some great people. Two of my bosses - Sue Kerr and Stuart Snaith - are people who I respect highly in the Home Entertainment publishing world. I learnt a huge amount from them over the years, and they were always highly supportive of the content. Do you have any regrets, any tears any anxieties from your time on the range? Ah! I would have liked to have taken more risks. It is impossible to please everybody, and I should have spent less time trying to do this. What have you been up to since the last release and do you have any non-Doctor Who future projects we can look out for? It’s been a real mixture of things since Doctor Who. Probably the biggest was working with PWL and Cherry Red records on the recent four Kylie Minogue Special Editions. Pup worked with the record company restoring the content, designing and authoring the DVDs. It was a great project and my teenage self would have been very proud! An unlimited budget is never a good thing! Limitations feed creativity, and certainly some of the best content we made for the range was by no means the most expensive. Where money can help is by providing consistency of content; a regular schedule of commissions and releases. But if I had had a wee bit more money on some of the releases, I would have liked an Ed Stradling season overview for every single season. The few we had were always insightful and fascinating. What do you feel the future is for the Classic Series Doctor Who range? Physical / Digital? Season Box-sets? Or has it had its day? Classic DW has a terrible habit of not going away! It was broadcast and people wanted more. It was broadcast again and they wanted more. Then it came on VHS and they wanted more. Then DVD… So I would be a pretty bad gambler if I said it had had its day. I am working in other parts of the industry these days and don’t have much to do with Classic DW. But I have genuine confidence that the BBC and BBC Worldwide will take the brand somewhere exciting. Why wouldn’t they?! As for what that is, that is a much wider Home Entertainment question. And if you find the answer, there are a lot of studios in Hollywood that I’m sure would like to speak with you! + Follow Dan Hall on Twitter! + Follow DoctorWhoOnline on Twitter! + Check Out the Classic Series Doctor Who titles on Amazon.co.uk. + Check Out more interviews in the DWO Interviews section. Doctor Who fandom is amazing! We're lucky enough to hold some of the most creative and inventive fans around (it's no wonder it's the Doctor Who fans who end up running the series) - and two such fans have created something a little bit special for those of us who love the classic series. Christopher Thomson and Siobhan Gallichan have produced an unofficial Minisode titled 'The Glimpse', featuring the 1st and 2nd Doctors, with, perhaps, the finest impersonations you have ever heard of William Hartnell and Patrick Troughton, respectively. The Doctor and Jamie accidentally slip into another, rather familiar, time zone. DWO caught up with Christopher and Siobhan to discuss the project. "I've been an impressionist for many years, but aside from making people laugh for a moment, I wanted to go further. Michael Sheen is no Rory Bremner. And Patrick Troughton was an obvious choice. I adored his Doctor, but also himself as an actor. I've watched many of his work that I could, and the more I read about his background made me more interested in him. In fact, I want to make a biographic film of his life after Who. If there's a real person I wanted to play in a film, like Sheen, then it would be Pat. There sadly isn't much of Pat's Doctor we can watch. I've listened to the audio-books of his missing adventures, which is sadly half a performance, but you can vision in your head how great he was. I wanted to keep working on the voice to try and bring that enjoyment in new adventures. My aim was for people to sit back, listen to Patrick. Not me. And judging from the wonderful response I've had... I think I've succeeded. I'm always working on the performance with each attempt. I don't want to disrespect his family or people who knew him. So I'm constantly learning and improving. Anything to keep Patrick Troughton going, and show the many fans the wonders of the Second Doctor that they've sadly missed. The Glimpse came to be after Siobhan's fantastic suggestion late one night, which I immediately fell in love with. If I could bring back the Second Doctor, then why not have him meet the First (beautifully performed by SIobhan!)? Combined with telesnaps, which were fun to use, it really gave it that missing episode feel - almost as if Loose Canon had reconstructed an actual recorded episode! I'm immensely happy and ecstatic with the response it's had. I'm a pessimist, and it's really shown me I should believe in myself more. I couldn't have done it without Siobhan, and she has been remarkable. I also voiced Jamie (for the first time) and have heard very little comments regarding it, which is pleasing!" 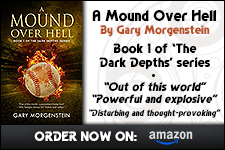 "Whilst not as acomplished as Chris, I leapt at the chance to work with him. His script was very sympathetic and true to the characters. When I read it I imagined it being done as a charity thing - maybe for the Blue Peter Appeal, 1968, where Hartnell comes back - ill, but having the time of his life. Hence him sounding so happy. Like Chris, I too would very much like to work for Big Finish: as a new First Doctor in my case. We have been overwhelmed by the support and good wishes we have recieved for The Glimpse. And I'm sure that we'll do more..."
Desert Island Docs! Lost Hartnell Interview Found! Every once in a while a genuine surprise turns up to treat Doctor Who fans. This week came the news that a long lost episode of Desert Island Discs featuring William Hartnell (The 1st Doctor) had resurfaced. The programme which was first broadcast on the BBC Home Service Radio channel on Monday 23rd August 1965, is now available to listen to on the BBC Radio 4 website. It is with deepest regret that DWO announces the passing of Classic Series Doctor Who Actor, Angus Lennie. Angus was perhaps best known to Doctor Who fans for playing the role of Storr in the Classic Series 2nd Doctor adventure; The Ice Warriors, Angus in the Classic Series 4th Doctor adventure; Terror Of The Zygons. Angus' other career highlights include roles in; The Great Escape, Crossroads and Monarch Of The Glen. DWO would like to extend our sympathies to Angus' family and friends. Luken Communications has announced the highly-anticipated debut of Doctor Who on Retro TV coming this Monday 4th August. Beginning with the very first episode of the series, “An Unearthly Child,” American fans of the science fiction classic can find two episodes of Doctor Who back-to-back every weeknight at 8:00PM ET/PT on Retro TV. Retro TV will be showcasing the series’ classic run, featuring the first seven incarnations of The Doctor: William Hartnell, Patrick Troughton, Jon Pertwee, Tom Baker, Peter Davison, Colin Baker and Sylvester McCoy. In addition to the weeknight schedule, a two hour encore block will air on Saturday evenings as part of Retro TV’s new Sci-Fi Saturday. Starting at 6:00PM ET/PT, viewers can enjoy the supernatural anthology One Step Beyond, Doctor Who and Mystery Science Theater 3000. For more information on Retro TV or to find a Retro TV affiliate in your area, please visit www.watchretrotv.com. Everyone at Retro TV is dedicated to expanding the network’s footprint. If you do not yet have a Retro TV affiliate in your area, you can help by contacting your local TV stations to request that they add Retro TV to their subchannel lineup. Retro TV can be found on Facebook at www.facebook.com/watchretrotv and on Twitter at www.twitter.com/watchretrotv. Philip Morris, the man behind the recent recovery of nine lost episodes of Doctor Who, and Director of TIEA, took part in a Q&A yesterday on the 'Doctor Who Missing Episodes Discussion Group' on Facebook. The 'omni-rumour' surrounding missing episodes has been going on for some time now, with many fans believing more episodes of Doctor Who will turn up. DWO also believe more episode discoveries will be announced in the not too distant future, but as Morris suggested, we all have to be patient. Do you think more lost episodes of Doctor Who have been found? What do you make of Philip Morris' comments? Post your comments in the comments section, below, or in the DWO Forums thread by clicking on the yellow 'Discuss' bar!